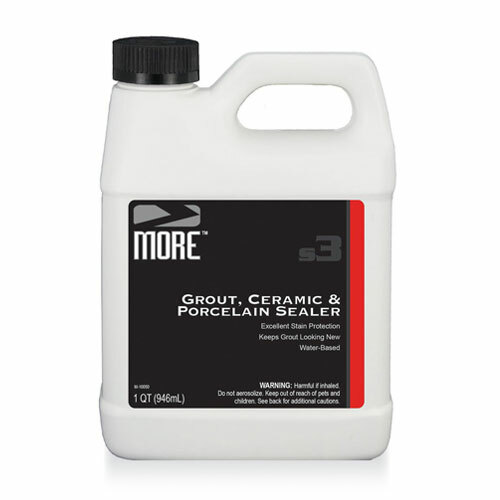 MORE Grout, Ceramic & Porcelain Sealer (1 qt) is a water-based, penetrating sealer that forms an invisible barrier to protect grout, ceramic, and porcelain from both oil and water-based stains. Can also be used to prevent grout and pigment from penetrating the surface of the tile – just apply to the tile surface prior to grouting. Will not create a haze or residue. Grout, polished ceramic & porcelain.